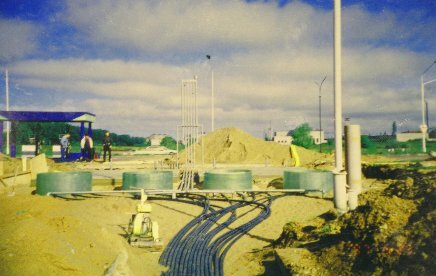 Design and construction of fuel stations. Sale of installations made in Sweden, Germany, USA, Finland, Czech for filling of fuel and gas. Assembling and operating of technological equipment. Consulting construction and operation of fuel stations. Design and production of publicity signs for fuel stations.